Loneliness and isolation is a growing issue for our aging society, and while it is largely accepted that spending time with younger people could help those who are lonely, our research shows there is a real disconnect between generations. Our research shows that 47% of older people think younger people are simply not interested in what they have to say. And a third of the children asked said they didn’t know what their grandparents had done for a job, with 37% having no idea where they grew up. Despite four in five (78%) older people saying they have advice they would like to share with younger generations, over three quarters (76%) think their life experiences won't be passed on. The research also found that many older people (68%) simply don’t have any regular contact with younger people outside of their family. Anchor’s Life Histories initiative is our response to these findings. 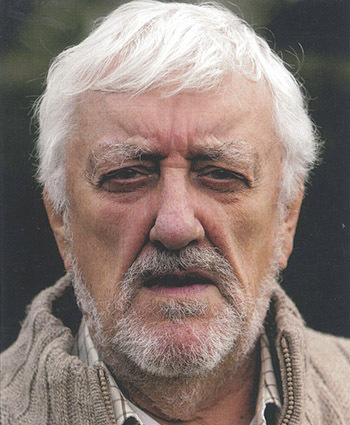 Working with actor Bernard Cribbins we have launched this nationwide schools initiative to help children learn about older people's lives and tackle this disconnect. Inspired by our approach of asking about older people’s past when they come to live with us, Life Histories focuses on the benefits of storytelling and sharing memorable experiences. Bernard says: "Everybody has a story to tell, and children love to listen to stories. It's so important to encourage new generations to spend time speaking with their seniors. It's not just sitting with your Gran for 10 minutes at Christmas time; it's about building more contact with older people into everyday lives." As part of the campaign we have created a free teaching pack for schools designed to deliver key National Curriculum learning outcomes, and break down barriers between young and old. We’ve also developed a free guide to support adults who wish to create a life story that promotes a person's past, present and future life choices and interests. Everyone has a story to tell, our life histories matter to us, and a simple conversation really can make all the difference to a person's day.